After Successfully Teaching 30,000+ students How To Sell On Amazon on YouTube, Brock Johnson has decided to bring The Last Amazon Course to Udemy! Exclusive Deals! ($1000+ value)- With this course, you will gain access to exclusive deals we negotiated with the best tools & services for your Amazon business. We’ll help you save thousands of dollars over the course of your Amazon FBA career! There are 9 core concepts that I will discuss when you're going through this course. Introduction: Overview of the Opportunity & a behind the scenes look at why I made this course! Product Research: Your business succeeds or fails by choosing the right product! With over 70+ videos, I dive deep into the multiple strategies on finding the right products to sell & how to evaluate your product ideas for their chances of success! Sourcing Your Product: Do you think saving $0,20 on your product will make you more money? You are wrong! It will most likely result in lots of trouble and failing your investment! Let me show you several ways on how to properly source your product, how to recognize the highest quality, the right price, and other sourcing strategies to be an effective seller. Listing Your Product: You have a good product? That’s not enough. In this section, you'll discover the best way to create a highly converting product listings, how to find the best keyword for your products, and the mindset behind winning products. Launching Your Product: I will teach how to run effective PPC (paid advertising) for your products, how to get your first reviews, as well as go over important tactics vital to your business. All without using questionable techniques often taught by other courses! Payments and Protection: In this section, you'll learn how to save on currency transfer rates & directly increase your profits, how to protect yourself and your business, and tax saving methods. Defense and Maintenance: Learn the various scenarios that may happen to you as a seller, how to remove hijackers legitimately, and how to approach unavoidable situations. In this course, I am not just teaching you the step by step guide how to succeed on Amazon, but I also teach fundamental frameworks, which are applicable across most e-commerce businesses. This enables you to think for yourself & not just follow a guide, which sets you up for success in the long term! This course is updated frequently & will take into account any major changes on Amazon. You will have access to these updates for free after purchasing the course. Amazon allowed me to scale my business from an initial investment of $7,500 to $6,000,000+ in revenue over the course of 6 months! I was only able to achieve this kind of growth, by fully understanding and utilizing core business concepts such as ROI, Lead Time, Inventory Management, Consumer Psychology & estimating demand correctly. However, nobody knows everything! That’s why I am interviewing multiple experts from different fields in this course, providing you with incredibly valuable insights! All because of you, I was able to successfully launch a product and now I make 10 sales per day. You allowed me to invest in my business by giving me all the tools for success at an affordable rate!" 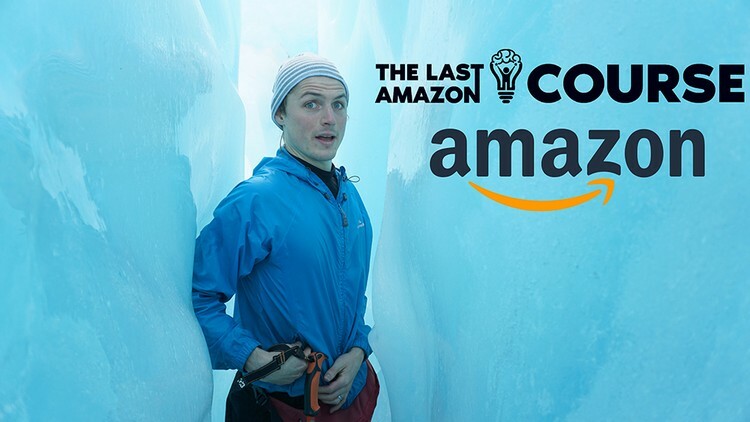 Why is it called The Last Amazon Course? I created this course with the intention of making it virtually accessible to anyone wanting to learn how to sell on Amazon. When you take this course, you will learn literally everything there is to know about how to sell on Amazon and should never have to take another Amazon course again. Hence "The Last Amazon Course". Yes, that is a bold statement and I'm THAT confident in your results. If you have the confidence, tenacity, and risk tolerance to jump into selling your own products, there is no doubt you will achieve the goals you set for yourself.